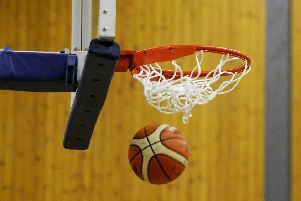 City of Edinburgh Kool Kats and holders Edinburgh University both look in good nick ahead of next month’s Scottish Women’s Basketball Cup Final after recording comfortable weekend wins in the league. Kats continued the defence of their 2018 title with a 77-51 victory over Glasgow Fever at Portobello High School. The home side scored the first ten points of the game and led 19-8 at the end of the opening quarter with captain Emma Findlay bagging 15. Findlay went on to top-score with 26 as Kats raced 65-35 clear before throttling back in the last ten minutes. League leaders Lady Rocks won again in Paisley to stay in the box seat, while Edinburgh University remained on the fringes of the title race thanks to a 92-25 home victory over city rivals Polonia Phoenix, who have yet to win all season. In the men’s championship, City of Edinburgh Kings saw their fading title hopes receive another hefty kick when they went down 77-71 to Glasgow Storm at Portobello High. Kings still appeared hungover from last week’s defeat to Falkirk as they trailed by 11 points at half time and, although they rallied and cut the gap to just two, they were unable to get any closer. Leaders Dunfermline Reign posted their 12th straight win at champions St Mirren, and Kings will be the latest team to attempt to end their unbeaten run when Reign come to the Capital this Friday. Meanwhile, Boroughmuir Blaze led hosts Edinburgh University 19-4 by the end of the first quarter and went on to complete an 88-52 victory, paced by 18 points from Yannick Onifade. Edinburgh Lions enjoyed their first win since October after overcoming Stirling Knights 61-46 at Broughton High. 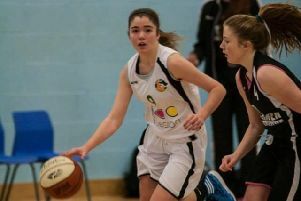 In the British Women’s League, Edinburgh-based Caledonia Pride slumped to a third defeat in 2019 when they lost 88-59 at the Wildcats Arena in Nottingham on Sunday. Despite showing terrific spirit to stay in the game for as long as possible, the wheels came off in the closing stages as Wildcats bared their teeth. Tia Weledji led Pride’s scorers with 17 points while captain Hannah Robb added 13. Newcastle Eagles visit Oriam in the WBBL Trophy on Saturday.